eDigitalDeals GUARANTEES the lowest possible price on Arecont Vision IP cameras when designing your video surveillance project. Once we know which cameras are best suited for your application, we submit the equipment list to Arecont Vision to approve pricing. Once pricing has been approved, we can repond back to you with the price, which is usually at least a few percentage points lower than any price you will find on the Internet. This process usually takes 2 business days. 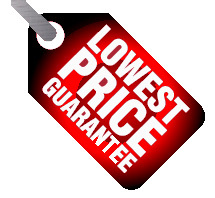 If pricing is needed right away, we can put in a request to expedite pricing. Please email or chat with us to discuss your Arecont Vision project needs.